Home / Unlabelled / 10 Easy And Legit Ways To Make Money Online In Nigeria. 10 Easy And Legit Ways To Make Money Online In Nigeria. 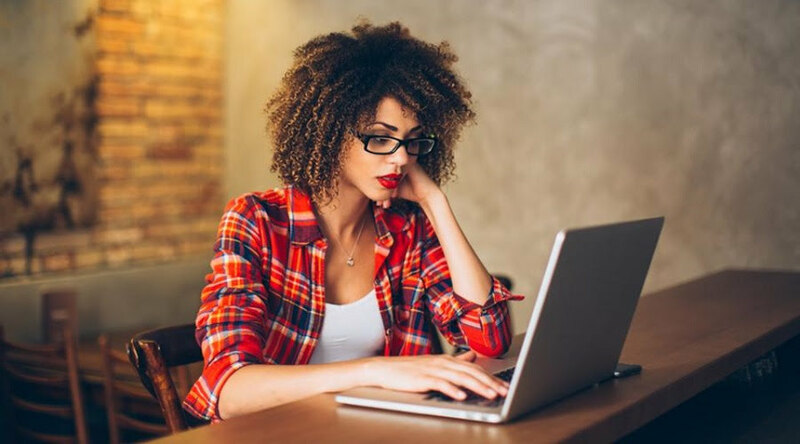 Whether you are a freelancer, full-time employee with a major corporation, a stay at home mom, a university student, or a job-seeker – there are several ways to make money online in Nigeria with little or no capital investment. One of the great things about the internet is that it’s such a great way to get into business for yourself. No matter where you live, as long as you have an internet connection, you can always make money online. In this post, we’ll be sharing some easy and legit ways to make some extra cash in your spare time. Okadabooks is an online website in Nigeria that makes it fast, easy and free to publish books online. This is not limited to books alone but also short stories, reviews or anything worth reading. The best part is that Okadabooks allows users to monetize each book published which means you get paid when any of your publications are downloaded or read. Also Read: 12 Online Business Ideas In Nigeria With Low Capital Investments. Do you have some basic design experience? Printivo Online Store is a marketplace that allows anyone to upload and sell designs to customers. Each time a Printivo customer makes use of your design or orders a print with your design you get paid 15% of the value of the design by Printivo. Do you know of any property available for rent or building for sale in your area where you live? You can always earn quick agency fee by posting available properties in your area on property websites such as Tolet, Jumia House & Private Property. All you have to do is to register as an agent and you are good to go. Yes, good old blogging is still chugging along in 2017. By providing valuable content on a regular basis you attract like-minded prospects who are interested in information and products related to your niche. The more traffic you have the more money you can make by monetizing your blog. For Vlogging, you can get started by creating a Youtube channel as a platform for distributing your video contents. Another legit way to make some extra-cash online in Nigeria is by selling on e-commerce websites. Jumia, Konga, PayPorte are all e-commerce websites that allows a merchant to list and sell products online for free. These list of websites exposes your product to a huge chunk of online audience that you will not be able to access offline making it easier and faster to sell and make more money online. If you’ve got a good presence on social media or perhaps you even have a blog or website, you can start bringing in money immediately by promoting all sorts of companies, products, services and offers online. You can even apply to affiliate programs of some notable brands in Nigeria such as Konga and Jumia Affiliate Program. Also Read: How To Make Money With Affiliate Marketing Programs In Nigeria. Another way to make quick and legit money online is by freelancing. Most freelancing websites allows you to leverage your skills to earn some quick cash online. Common skills in demand for online services like these include content writing, social media management, website design, graphic design, search engine marketing etc. The main aim is to improve online experiences for the everyday internet user. Internet companies are always looking for real people like you, to test out new or existing mobile apps and websites so that website owners, coders, and designers can see and evaluate the obstacles that real people experience with their products. Most of the companies reward the testers in cash for each app or website tested (Check out User Testing). Also Read: Lucrative business ideas you can start with almost no capital. These online business opportunities should give you plenty of ideas for making money online in Nigeria. Take what you’ve learned from this post and start testing your own ventures. It will take some hard work. But it’ll be well worth it when you find yourself on the road to financial freedom in a very short while. We will be adding more ideas and opportunities to this post as time rolls on, so go ahead and bookmark this page for future references. You can also share with your friends that may need some money making ideas.